Comparing shipping costs with multiple carriers can be time consuming, but it doesn’t have to be. If you’re still running multiple rate quotes on multiple carrier websites you need to know that there is an easier way. Freightview can be a game changer in your shipping process. Freightview allows you to see all of your freight rates in one place. Enter your quote information one time and view all of your negotiated rates in seconds. Instant time saver. Doing this also helps our customers to save money because they’re seeing their cheapest option every single time. You’ll also see transit days, interline data, and expedited options by clicking the orange carrot displayed on carrier’s that offer it. On Freightview, we allow our customers to apply a percentage markup to their freight. With our markup feature, the account owner can assign a specific percentage markup that is unique to each user on the account. This feature is handy because the user can communicate to the customer what their freight is going to cost without having to calculate the markup themselves. It streamlines the process and eliminates the human error that can sometimes occur when people are calculating markup themselves. Freightview uses API technology to connect to your rates. In its simplest form, this means that we have a live connection to the carrier’s website. When your rate changes on your carrier profile, that will reflect in Freightview as well. We never have to manually upload or update your carrier tariffs. What about carriers without APIs? We allow you to book collect shipments, billed to your customer, or a third party with any carrier within Freightview as well. We also allow you to manually add a quote for those small regional carriers that may be lacking in technology but not in competitive pricing. Most advantageous shipping managers want to utilize a freight shipping software in order to achieve fast, and accurate shipping cost comparisons. Freightview does just that with a an easy-to-use intuitive dashboard, and rates that are always up to date. But Freightview is so much more than just a quoting tool. Freightview carries you through the entire lifecycle of your shipment. 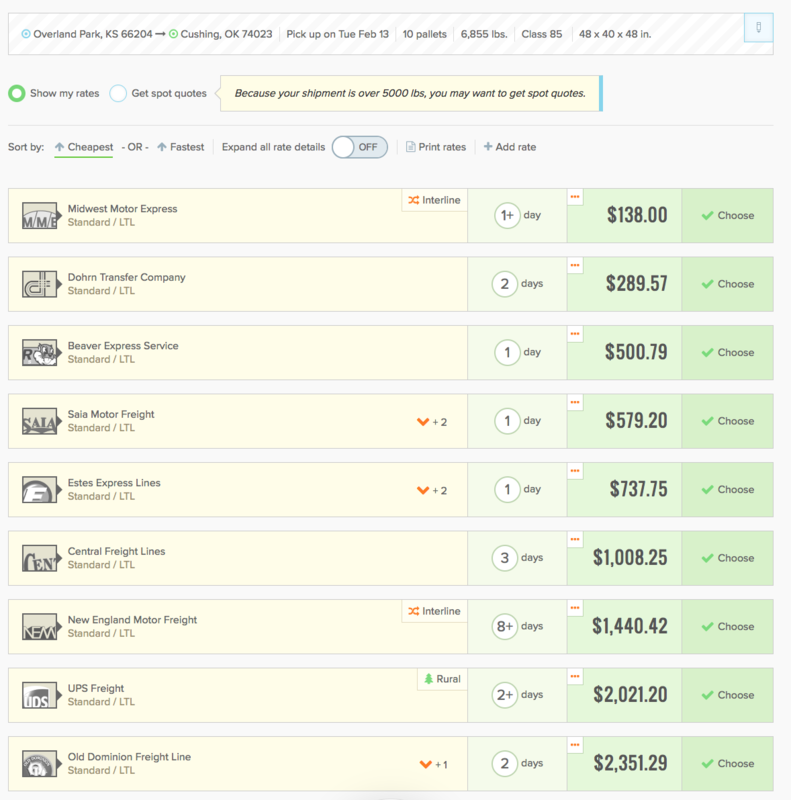 Quote the shipment, choose your carrier, and then book the shipment with Freightview. We will pre-pro shipments for carriers that allow it, and we will provide a BOL and labels. Once your shipment is picked up and scanned by the driver we offer embedded tracking information. 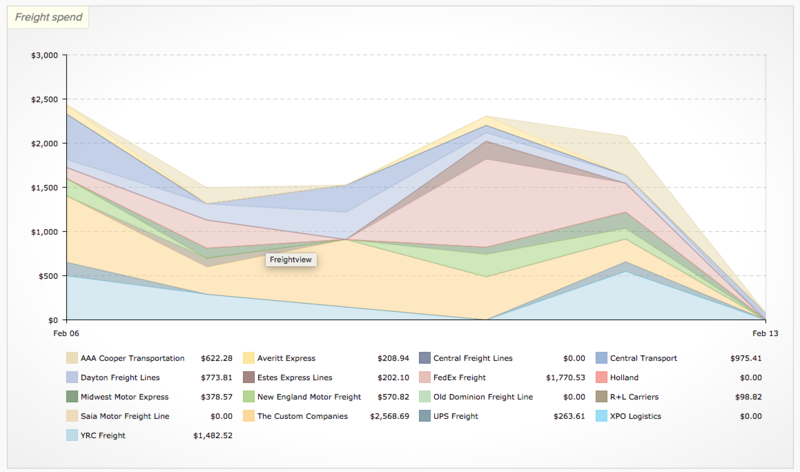 Freightview offers analytics on every single shipment you move through the platform. We will compile your shipping data in meaningful ways. See which carriers are winning the most freight, where you’re shipping to the most, and how much money you’re spending by not choosing the cheapest carrier every time. We allow you export the raw data as well which can be so valuable when negotiating rates with your carriers. Freightview has been simplifying the shipping process for companies of all different sizes and industries since 2014. We believe in what we’re doing, and if you think you could benefit from using Freightview to improve your shipping in 2019 try a no strings attached free trial today.